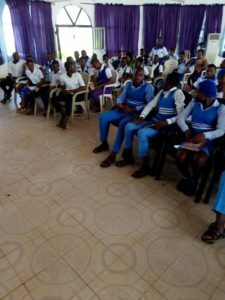 Yesterday will remain green in the minds of Ebonyi State students, Corp members, and Teachers from over 30 schools who were present during the APLSCD Sensitization program at Women Development Centre, Abakiliki, as the Genotype lessons they received shall be a constant guide in their decisions later in life. After a laudable campaign at the Methodist Church Onitsha Diocese, Aisha Edward the National Coordinator of Association of Persons Living with Sickle Cell Disorder Continued the 2018 sickle cell sensitization campaign at Ebonyi State, where they availed Teachers, Corp Members and Secondary School Students the golden knowledge of genotype and the consequences of incompatible genotype in relationships. Speaking during the event, Aisha Edward emphasised on the need for every child to know his or her Genotype, as it keeps them out of the path of ignorance when choosing a partner in the future. She also prayed the State Government to include genotype education in the school curriculum of the state, and create a law that would protect the welfare and rights of those already living with the blood disorder. 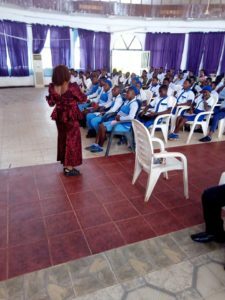 One of the students from the thirty schools in attendance prayed the State Government to conduct a free genotype test for students, as majority of the students at the program were unaware of their genotype. In his words, the Ebonyi State Assembly, House Committee Chairman on Health, Hon. 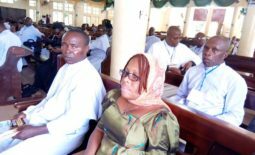 Ossi, applauded the Association for her immense contribution and sensitization aimed at ending the Scourge of the disorder in Nigeria. 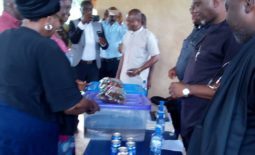 He commended the leader of the Association for her Gallant and Patriotic efforts as the success of the Association in her campaigns against fraudulent healthcare givers, was one of the factors that motivated the Quackery Bill he sponsored at the State Assembly. The bill according to Hon. Ossi will go a long way in eradicating unprofessional practices in the health Sector of the state. Having gone through the process of the State Assembly, the Bill is currently awaiting assent of the Governor. Hon. Ossi promised to kick off the Sickle Cell Bill in the state, as it is a law, if passed would protect not just the Welfare and rights of those living with Sickle Cell Disorder but for the unborn as well. Mrs Comfort Abia Onyeike, the Director Ebonyi State Ministry of Education, Hon. Ossi, House Committee Chairman on Health, Ebonyi State Assembly, School Principals and others. 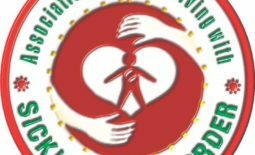 The sensitization by APLSCD is in commemoration of the United Nations World Sickle Cell Day, which event comes up at the ABS Field, AWKA on June 19, 2018 by 10am.